Courtesy of Shankle Real Estate, Suzanne Menendez-herbst. This Beautifully Renovated condominium is one of the largest units at Tanglewood and has one of the more unique floor plans. A one of a kind, turn-key condition 2 bedroom 2 bath very private end unit. A total kitchen remodel with all new high-end appliances including Corian counters and a induction stovetop. A single level unit that offers attractive new flooring, spacious open living room with a lovely tiled gas fireplace. Master bedroom has a large walk-in closet, en-suite bathroom & private deck.This home has recessed lighting, a covered tiled entry with extra storage & has been freshly painted throughout. Relax by your warm and cozy gas log fireplace or enjoy the views from your new deck. Very private end unit with no one above or below and there are only 2 units in this building and only one shared wall. This home is beautifully nestled in serene Skyline Forest with a peak of the ocean! Yet still close to downtown Monterey & just minutes from Pacific Grove, Carmel & Pebble Beach. Please, send me more information on this property: MLS# ML81736227 – $549,000 – 250 Forest Ridge Rd 72, Monterey, CA 93940. 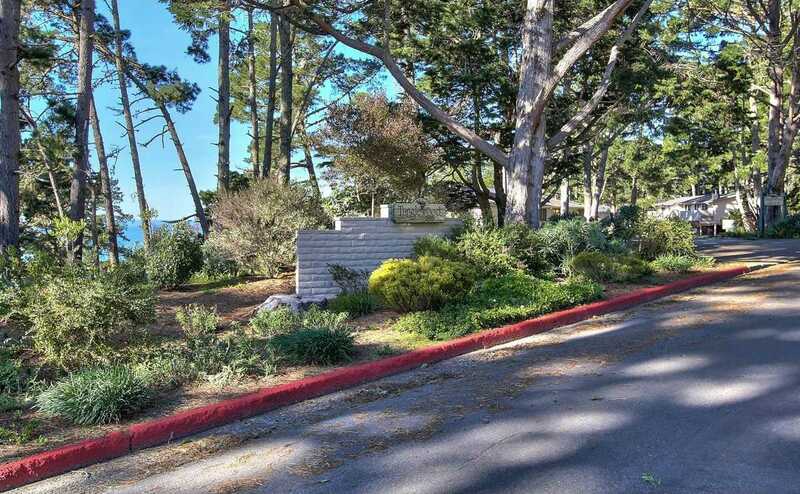 I would like to schedule a showing appointment for this property: MLS# ML81736227 – $549,000 – 250 Forest Ridge Rd 72, Monterey, CA 93940.